This article is about the city in Los Angeles County. For the census designated place, see Burbank, Santa Clara County, California. 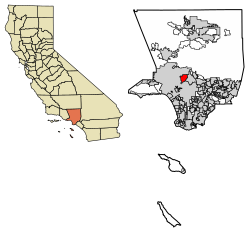 "A city built by People, Pride, and Progress"
Location of Burbank in Los Angeles County, California. Billed as the "Media Capital of the World" and only a few miles northeast of Hollywood, numerous media and entertainment companies are headquartered or have significant production facilities in Burbank, including Warner Bros. Entertainment, The Walt Disney Company, Nickelodeon Animation Studios, The Burbank Studios, Cartoon Network Studios with the West Coast branch of Cartoon Network, and Insomniac Games. The Hollywood Burbank Airport was the location of Lockheed's Skunk Works, which produced some of the most secret and technologically advanced airplanes, including the U-2 spy planes that uncovered the Soviet Union missile components in Cuba in October 1962. Burbank consists of two distinct areas: a downtown/foothill section, in the foothills of the Verdugo Mountains, and the flatland section. The city was referred to as "Beautiful Downtown Burbank" on Rowan & Martin's Laugh-In and The Tonight Show Starring Johnny Carson. 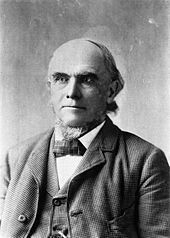 The city was named after David Burbank, a New Hampshire–born dentist and entrepreneur who established a sheep ranch there in 1867. A professionally trained dentist, Burbank began his career in Waterville, Maine. He joined the great migration westward in the early 1850s and, by 1853 was living in San Francisco. At the time the American Civil War broke out he was again well established in his profession as a dentist in Pueblo de Los Angeles. In 1867, he purchased Rancho La Providencia from David W. Alexander and Francis Mellus, and he purchased the western portion of the Rancho San Rafael (4,603 acres) from Jonathan R. Scott. Burbank's property reached nearly 9,200 acres (37 km2) at a cost of $9,000. Burbank would not acquire full titles to both properties until after a court decision known as the "Great Partition" was made in 1871 dissolving the Rancho San Rafael. He eventually became known as one of the largest and most successful sheep raisers in southern California, and as a result, he closed his dentistry practice and invested heavily in real estate in Los Angeles. Burbank also later owned the Burbank Theatre, which opened on November 27, 1893, at a cost of $150,000. Though the theater was intended to be an opera house, instead it staged plays and became known nationally. The theatre featured famous actors of the time including Fay Bainter and Marjorie Rambeau, until it had deteriorated into a burlesque house. 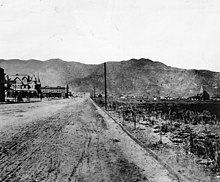 When the area that became Burbank was settled in the 1870s and 1880s, the streets were aligned along what is now Olive Avenue, the road to the Cahuenga Pass and downtown Los Angeles. These were largely the roads the Native Americans traveled and the early settlers took their produce down to Los Angeles to sell and to buy supplies along these routes. A shrewd businessman, foreseeing the value of rail transport, Burbank sold Southern Pacific Railroad a right-of-way through the property for one dollar. The first train passed through Burbank on April 5, 1874. 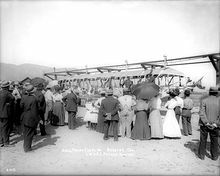 A boom created by a rate war between the Santa Fe and Southern Pacific brought people streaming into California shortly thereafter, and a group of speculators purchased much of Burbank's land holdings in 1886 for $250,000. One account suggests Burbank may have sold his property because of a severe drought that year, which caused a shortage of water and grass for his livestock. Approximately 1,000 of his sheep died due to the drought conditions. The town's first bank was formed in 1908 when Burbank State Bank opened its doors near the corner of Olive Avenue and San Fernando Blvd. On the first day, the bank collected $30,000 worth of deposits, and at the time the town had a population of 300 residents. In 1911, the bank was dissolved; it would then become the Burbank branch of the Security Trust & Savings Bank. On May 26, 1942, the California State Railroad Commission proposed an extension of the Burbank Line to the Lockheed plant. The proposal called for a double track line from Arden Junction along Glenoaks to San Fernando Boulevard and Empire Way, just northeast of Lockheed's main facility. But this extension never materialized and the commission moved on to other projects in the San Fernando Valley. The Red Car line in Burbank was abandoned and the tracks removed in 1956. The populace petitioned the State Legislature to incorporate as a city on July 8, 1911, with businessman Thomas Story as the mayor. Voters approved incorporation by a vote of 81 to 51. At the time, the Board of Trustees governed the community which numbered 500 residents. The first city seal adopted by Burbank featured a cantaloupe, which was a crop that helped save the town's life when the land boom collapsed. In 1931, the original city seal was replaced and in 1978 the modern seal was adopted. The new seal shows City Hall beneath a banner but no cantaloupe. An airplane symbolizes the city's aircraft industry, the strip of film and stage light represent motion picture production. The bottom portion depicts the sun rising over the Verdugo Mountains. In 1915, major sections of the Valley capitulated, helping Los Angeles to more than double its size that year. But Burbank was among a handful of towns with their own water wells and remained independent. By 1916 Burbank had 1,500 residents. In 1922, the Burbank Chamber of Commerce was organized. The Federal government officially recognized Burbank's status in 1923 when the United States Postal Service reclassified the city from the rural village mail delivery to city postal delivery service. By this time, Burbank's population had grown significantly, from less than 500 people in 1908 to over 3,000 citizens. The city's business district grew on the west side of San Fernando Blvd. and stretched from Verdugo to Cypress avenues, and on the east side to Palm Avenue. In 1927, five miles (8 km) of paved streets had increased to 125 miles (201 km). By 1930, as First National Studios, Andrew Jergens Company, The Lockheed Company, McNeill and Libby Canning Company, the Moreland Company, and Northrop Aircraft Corporation opened facilities in Burbank and the population jumped to 16,662. In the 1930s, Burbank and Glendale prevented the Civilian Conservation Corps from stationing African American workers in a local park, citing sundown town ordinances that both cities had adopted. Following a Valley land bust during the Depression, real estate began to bounce back in the mid-1930s. In Burbank, a 100-home construction project began in 1934. By 1936, property values in the city exceeded pre-Depression levels. By 1950, the population had reached 78,577. It was no longer the "tiny little village" of Jane Russell's song "Hollywood Cinderella"; it had become a major Los Angeles suburb. From 1967 to 1989 a six-block stretch of San Fernando Blvd. was pedestrianized as the "Golden Mall". In 1887, the Burbank Furniture Manufacturing Company was the town's first factory. After the land boom downturn in 1888, the building was abandoned and transients slept in the empty factory. In 1917, the arrival of the Moreland Motor Truck Company changed the town and resulted in a manufacturing and industrial workforce begin to take root in the city. Within a few years Moreland trucks were seen bearing the label, "Made in Burbank." Watt Moreland, its owner, had relocated his plant to Burbank from Los Angeles. He selected 25 acres (100,000 m2) at San Fernando Blvd. and Alameda Avenue. Moreland invested $1 million in the factory and machinery, and employed 500 people. It was the largest truck maker west of the Mississippi. Burbank's airport has undergone seven name changes since opening in 1930. It had five runways that radiated in varying directions, each 300 feet (91 m) wide and 2,600 feet (790 m) long. It remained United Airport until 1934, when it was renamed Union Air Terminal (1934–1940). Boeing built planes on the field. Lockheed Aircraft had its own nearby airfield. Lockheed bought the airport in 1940 and renamed it Lockheed Air Terminal, which it was known as until 1967, when it became Hollywood-Burbank Airport. In 1978, it was renamed Burbank-Glendale-Pasadena Airport (1978–2003) after Lockheed sold it to the three California cities for $51 million. In December 2003, the facility was renamed Bob Hope Airport in honor of the comedian who lived in nearby Toluca Lake. In 2005, the city of Burbank and the Burbank-Glendale-Pasadena Airport Authority, which owns and operates the airport, reached a development agreement. The agreement forbid further airport expansion until 2009. Unlike most other regional airports in California, Burbank's airport sits on land that was specifically zoned for airport use. Dozens of hamburger stands, restaurants and shops appeared around Lockheed to accommodate the employees. Some of the restaurants operated 24 hours a day. At one time, Lockheed paid utility rates representing 25% of the city's total utilities revenue, making Lockheed the city's cash cow. When Lockheed left, the economic loss was huge. At its height during World War II, the Lockheed facility employed up to 98,000 people. Between the Lockheed and Vega plants, some 7,700,000 square feet (720,000 m2) of manufacturing space was located in Burbank at the peak in 1943. Burbank's growth did not slow as war production ceased, and over 7,000 new residents created a postwar real estate boom. Real estate values soared as housing tracts appeared in the Magnolia Park area of Burbank between 1945 and 1950. More than 62 percent of the city's housing stock was built before 1970. By the mid-1970s, Hollywood-Burbank Airport handled 1.5 million passengers annually. Airlines include Alaska Airlines, American Airlines, Delta Air Lines, JetBlue Airways, Southwest Airlines and United Air Lines. As of August 2009[update], Southwest represented two-thirds of the airport's operations. In 2005, JetBlue Airways began the first non-stop coast-to-coast service out of the airport. Avjet Corporation, a private jet service, operates out of several hangars on the south side of the airport. Surf Air operates six daily flights out of Burbank airport servicing Santa Barbara and San Carlos in the Silicon Valley. Atlantic Aviation, (formerly Mercury Air Center) also provides jet services for several prominent companies. In 1987, Burbank's airport became the first to require flight carriers to fly quieter "Stage 3" jets. An expansion of the airport facilities began in August 2012 when construction commenced on the Regional Intermodal Transportation Center (RITC) along Empire Avenue directly across from the Hollywood Burbank Airport Train Station. RITC opened in June 2014  RITC links the airport to other transportation systems, including regional bus lines, shuttles, as well as the Amtrak and Metrolink rail services, and includes an elevated covered moving walkway to the terminal building. An adjacent multi-story parking structure also is planned on the site. Additionally, the airport was given $3.5 million in Metrolink funds for a bridge that would cross south of the RITC facility on Empire Avenue to the rail platform used by Metrolink and Amtrak. The RITC's overall cost was reported at $112 million and includes consolidating rental car facilities of at least nine different rental car brands. RITC also will serve as a command center for emergency operations. Reversing recent passenger declines, the airport reported the number of passengers in the first seven months of 2015 rose 2.4% compared with the same period a year ago. That marked a turnaround from slow passenger trends experience since 2007. Passenger traffic continued to grow into 2017, with the airport announcing the total number of travelers rose 14.4 percent for the full year to just over 4.7 million. That said, the airport still remains below the peak of 5.9 million passengers recorded in 2007. Part of the reason for the decline is a lower number of flights out of the airport. Prodded by the U.S. Federal Aviation Administration, airport officials looked to replace the aging terminal with something up to two-thirds bigger in size. The current terminal dates back to the 1930s and is deemed too close to the runways by current standards – roughly 250 feet (76 m) instead of the required 750 feet. In November 2016, city voters approved a replacement terminal. The Burbank-Glendale-Pasadena Airport Authority has said it hopes to have the replacement terminal open in 2022. The relocation plans changed following Comcast Corp.'s $30 billion acquisition of NBC Universal in January 2011. NBC Universal announced in January 2012 it would relocate the NBC Network, Telemundo's L.A. Bureau, as well as local stations KNBC and KVEA to the former Technicolor building located on the lower lot of Universal Studios in Universal City. The former NBC Studios were renamed The Burbank Studios. While filming Apollo 13 (1995) and Coach Carter (2005), the producers shot scenes at Burbank's Safari Inn Motel. True Romance (1993) also filmed on location at the motel. Back to the Future (1985) shot extensively on the Universal Studios backlot but also filmed band audition scenes at the Burbank Community Center. San Fernando Blvd. doubled for San Diego in The Lost World: Jurassic Park (1997) while much of Christopher Nolan's Memento was shot in and around Burbank with scenes on Burbank Blvd., at the Blue Room (a local bar also featured in the 1994 Michael Mann feature Heat), the tattoo parlor, as well as the character Natalie's home. The city's indoor shopping mall, Burbank Town Center, is a popular backdrop for shooting films, television series and commercials. Over the years, it was the site for scenes in Bad News Bears (2005) to location shooting for Cold Case, Gilmore Girls, ER and even Desperate Housewives. The ABC show Desperate Housewives also was known to frequently use the Magnolia Park area for show scenes, along with the city's retail district along Riverside and adjacent to Toluca Lake, California. Also, Universal Pictures Larry Crowne shot exterior scenes outside Burbank's Kmart, the store doubled for 'U Mart', and in The Hangover Part II (2011) about a breakfast scene at the IHOP restaurant across the street. Heading into 2018, Burbank was expected to decide whether to establish a rent-control ordinance for about 10,400 residential units in the city. State law bars communities in the state from putting rent control on complexes built after February 1995. Any rent control ordinance also would require the exemption of single-family homes and condominiums. Housing costs in California have been going up in the last decade and there's a shortage of affordable housing. Rent control is seen as a way to keep housing costs affordable but some economists have suggested ordinances limiting rent only contribute to California's chronic housing problem. Burbank has taken the initiative in various anti-smoking ordinances in the past decade. In late 2010, Burbank passed an ordinance prohibiting smoking in multi-family residences sharing ventilation systems. The rule went into effect in mid-2011. The new anti-smoking ordinance, which also prohibits smoking on private balconies and patios in multi-family residences, is considered the first of its kind in California. Since 2007, Burbank has prohibited smoking at all city-owned properties, downtown Burbank, the Chandler Bikeway, and sidewalk and pedestrian areas. The city's namesake street, Burbank Boulevard, started getting a makeover in 2007. The city spent upwards of $10 million to plant palm trees and colorful flowers, a median, new lights, benches and bike racks. Today, an estimated 100,000 people work in Burbank. The physical imprints of the city's aviation industry remain. In late 2001, the Burbank Empire Center opened with aviation as the theme. The center, built at a cost of $250 million by Zelman Development Company, sits on Empire Avenue, former site of Lockheed's top secret "Skunk Works", and other Lockheed properties. By 2003, many of the center's retailers and restaurants were among the top national performers in their franchise. The Burbank Empire Center comprises over 11% of Burbank's sales tax revenue, not including nearby Costco, a part of the Empire Center development. Work started in summer 2015 to open a Walmart Supercenter on the site of the former Great Indoors store. The project had been halted since 2011 due to lawsuits. However, the Walmart store finally opened its doors in June 2016. Burbank also opened its first Whole Foods Market near The Burbank Studios lot in June 2018. The mixed-use development also includes apartment units above the store. The project faced controversy due to traffic concerns and street barriers in the adjacent neighborhood. Burbank has a hot summer mediterranean climate (Köppen: Csa), featuring hot summers and mild to warm winters. The highest recorded temperature in Burbank was 114 °F (46 °C) in 2018. The lowest recorded temperature was 22 °F (−6 °C) in 1978. Average annual precipitaion is just over 17 inches, but is highly variable from year to year. Wet years (with well over 20 inches of rainfall) are generally associated with El Nino conditions, and dry years with La Nina. The driest rainfall season on record was the 2006–2007 season with 2.83 inches (72 mm), beating the previous record of 5.12 inches (130 mm) set in 2001–2002.. The months that receive the most precipitation are February and January, respectively. The city's Magnolia Park area, bordered by West Verdugo Avenue to the south, Chandler Boulevard to the north, Hollywood Way to the west and Buena Vista Street to the east is known for its small-town feel, shady streets and Eisenhower-era storefronts. Most of the homes in the area date to the 1940s, when they were built for veterans of World War II. Central to the community is Magnolia Boulevard, known for its antique shops, boutiques, thrift shops, corner markets, and occasional chain stores. The neighborhood is in constant struggle with developers looking to expand and update Magnolia Boulevard. Independent merchants and slow-growth groups have fought off new construction and big-box stores. The neighborhood remains quiet despite being beneath the airport flight path and bordered by arterial streets. The neighborhood zoning allows residents to keep horses on their property. Single-family homes far outnumber multifamily units in the Rancho, and many of the homes have stables and horse stalls. There are about 785 single-family homes, 180 condos and townhomes, and 250 horses. Rancho real estate sells at a premium due to its equestrian zoning, numerous parks, connection to riding trails in Griffith Park and its adjacency to Warner Bros. and Disney Studios. Riverside Drive, its main thoroughfare, is lined with sycamore and oak trees, some more than 70 years old. It is quite common to see people on horseback riding along Riverside Drive's designated horse lanes. Of historical note, the Rancho was the home to TV star Mister Ed, the talking horse of the early 1960s show of the same name. Other notable former Rancho residents included Ava Gardner and Tab Hunter, as well as Bette Davis in the adjoining Glendale Rancho area. 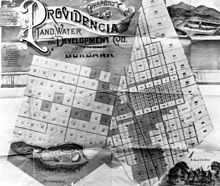 Filmmaking began in the Providencia Ranch area (marked in yellow on the Providencia Land, Water & Development Co. map in this section). Nestor Studios began using the ranch location in 1911. The Providencia Ranch became part of the Universal Film Manufacturing operations on the Pacific/West Coast in 1912. From 1912 to 1914 Universal's ranch studio was also referred to as the Oak Crest Ranch. Carl Laemmle called the ranch "Universal City" as recorded in issues of The Moving Picture World Volume: 16 (April – June 1913). Universal City existed on the Providencia Land and Water property from 1912 to 1914. In 1914, the Oak Crest studio ranch and Hollywood studio operation would move to the new Universal City located on the Lankershim Land and Water property. The official public opening occurred March 15, 1915, on the Lankershim Property. The new Universal City (three tracts of land) was much larger than the old Universal (Oak/Providencia) Ranch. The Universal Ranch tract of land became smaller after the 1914 move to the Taylor Ranch. The leased land surrounding the universal ranch would soon become the Lasky Ranch. The Providencia property was used as a filming location by other motion picture companies, most notably for battle scenes in the silent classic about the American Civil War, The Birth of a Nation (1915). Burbank experienced a 4.8% increase in population between 2000 and 2016, bringing its total population in 2016 to 105,110. Population growth was influenced by Burbank's expanding employment base, high quality public schools, and access to regional transportation routes and metropolitan Los Angeles. According to the Southern California Association of Government's 2016 Demographic and Growth Forecast, the population of Burbank is expected to reach about 118,700 by 2040, an increase of 15 percent from 2012. The population was spread out with 20,488 people (19.8%) under the age of 18, 8,993 people (8.7%) aged 18 to 24, 32,513 people (31.5%) aged 25 to 44, 27,552 people (26.7%) aged 45 to 64, and 13,794 people (13.3%) who were 65 years of age or older. The median age was 38.9 years. For every 100 females, there were 93.6 males. For every 100 females age 18 and over, there were 91.6 males. In the city, the population was spread out with 22.3% under the age of 18, 7.7% from 18 to 24, 35.4% from 25 to 44, 21.8% from 45 to 64, and 12.8% who were 65 years of age or older. The median age was 36 years. For every 100 females, there were 94.1 males. For every 100 females age 18 and over, there were 90.7 males. Burbank's overall crime rate for violent and property crimes during 2017 was up 2.9 percent compared with 2016 levels, according to the city police department's online data. But that is below the 12 percent jump recorded from 2016 to 2015. The police department statistics show robberies, burglaries and auto thefts fell in 2017 compared with the year-ago period. Rapes also were down in 2017, according to the police data. There were no murders listed in Burbank during 2016 and 2017. That changed in 2018 when the bodies of three people were found in a parked car along South Varney Street and a homicide probe was launched. However, these homicides were determined to have occurred in Riverside County. Niche, a national online database that publishes city rankings, listed Burbank in 2018 as one of the top-13 "safest cities in America" and number 63 in terms of the "best cities to live." Burbank's violent crime rate was approximately 2.34 per 1,000 people in 2009, well below the national average of 4.29 per 1,000 people as reported by the U.S. Department of Justice in the Bureau of Justice Statistics. Furthermore, Burbank was named again in 2010 as One of the Nation's 100 Best Communities for Young People by America's Promise Alliance. As of December 2011, Burbank Police began for the first time posting arrest information online. The website contains archives from the start of the program. Criminal offenses are charged and locally prosecuted in the Burbank Courthouse. The Los Angeles District Attorney handles all of the felony violations which occur within Burbank city limits. The Burbank City Attorney, through its Prosecution Division, handles the remaining violations, which include all misdemeanors, and municipal code violations such as the Burbank Anti-Smoking Ordinance, as well as traffic offenses. The Burbank Superior Court is a high-volume courthouse; the City Prosecutor files approximately 5,500 cases yearly, and the Burbank Police Department directly files approximately 12,000 to 15,000 traffic citations per year. Burbank Court, Division Two, handles all of the misdemeanor arraignments for Burbank offenses. A typical arraignment calendar is between 100 and 120 cases each day, including 15 to 25 defendants who are brought to court in custody. Many cases are initiated by arrests at the Hollywood Burbank Airport. Common arrests include possession of drugs such as marijuana, weapons, prohibited items, as well as false identification charges. One of the most infamous crimes in the city took place in March 1953, when elderly widow Mabel Monahan was killed in her Burbank home. When Monahan, 64, opened the door to her house on West Parkside Avenue, she found herself confronted by a stranger, Barbara Graham (also sometimes referred to as Barbara Wood). 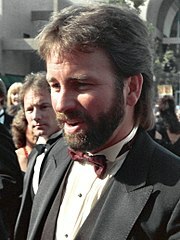 Graham, along with some other accomplices, had heard rumors of a Las Vegas gambling fortune hidden in Monahan's house. The crime scene was discovered by a gardener, who went to Monahan's front door and looked in to find a ransacked home and a grisly trail of blood. The gardener immediately called the Burbank Police, who discovered Monahan's badly beaten body, half in and half out of a closet. On June 3, 1955, Graham and two of her partners in crime were executed in the gas chamber at San Quentin for their part in the brutal murder of Mabel Monahan. Graham had insisted she was innocent. Actress Susan Hayward won a Best Actress Oscar for her portrayal of Graham in the 1958 classic movie I Want To Live. Prior to filming, director Robert Wise had attended an actual execution at San Quentin Prison in order to help him authentically capture his film's climactic event. In 1983, ABC Television remade the movie, casting actress Lindsay Wagner (known for her role as the Bionic Woman) as Barbara Graham. In February 1969, Burbank resident and former LAPD officer Paul S. Perveler was found guilty of murdering his wife, Cheryl, who was shot to death in her open convertible as she parked the vehicle in the carport of the Pervelers' Grismer Avenue apartment building. In a case that had similarities to the 1944 film classic Double Indemnity, Perveler had taken out a $25,000 double-indemnity life insurance policy on Cheryl, whom he had married just seven weeks earlier. Perveler and his girlfriend, Kristina Cromwell, were also convicted of the earlier December 1966 murder of Cromwell's husband, Marlin, who had been found shot to death in the living room of the Cromwell house in El Sereno, which had then been set on fire. Kristina Cromwell had taken out a $35,000 insurance policy on her husband prior to his murder. The pair was largely convicted on circumstantial evidence presented by prosecutor Vincent Bugliosi, who would later serve as lead prosecutor on the Tate-LaBianca murders committed by the Charles Manson "family." Cromwell was paroled in 1976; Perveler remains imprisoned at Mule Creek State Prison in Ione, California as of April 2013. The case was the basis for the best-selling book "Till Death Us Do Part: A True Murder Mystery," co-authored by Bugliosi and Ken Hurwitz, as well as the 2017 Season 4 finale of Investigation Discovery's series A Crime to Remember, "The Newlydeads". In February 1981, serial killer Lawrence Bittaker, a Burbank machinist, was convicted of first-degree murder in the 1979 kidnapping and slaying of five teen-aged girls in a case that was the first felony trial in California to allow TV cameras into the courtroom over the objections of the defendant. As of March 2019[update], he was still on Death Row. Prior to the murder of Burbank police officer Matthew Pavelka in 2003, the city experienced earlier cases of tragedy involving local law enforcement. Marshal Luther Colson and Deputy City Marshal Robert L. Normand were shot to death while patrolling the city. Their deaths in 1914 and 1920 marked the first time that Burbank police officers were killed in the line of duty. Colson was shot the evening of November 16, 1914, when he was walking on railroad tracks near what is now Victory Place and Lake Street. Six years later, Normand was killed when he responded to a call for help to check on three men in a vehicle with its lights out. The men began shooting as Normand and another officer approached the car. The other officer survived despite three bullet wounds, but Normand died at the scene. Additionally, two other Burbank officers have died on duty. They were motorcycle officers Joseph R. Wilson and Richard E. Kunkle, who were killed in separate accidents in 1961. The second-largest office space market in the San Fernando Valley is located in Burbank. Much of the space is utilized by the entertainment industry, which has among the highest office lease rates in the region. In 2017, two entities owned about 70 percent of Burbank's office space. About 150,000 people work in Burbank each day, or more than live in the city. As of 2016, only 25 percent of the city's employed residents worked in Burbank. According to the U.S. Census Bureau, in 2012 there were 17,587 companies within the city of Burbank and with combined payroll totaling in excess of $13.4 billion. A good chunk of Burbank's economy is based on the entertainment industry. While Hollywood may be a symbol of the entertainment industry, much of the actual production occurs in Burbank. Many companies have headquarters or facilities in Burbank, including Warner Bros. Entertainment, Warner Music Group, The Walt Disney Company, ABC, Cartoon Network Studios with the West Coast headquarters of Cartoon Network, Nickelodeon Animation Studios, Cookie Jar Entertainment, New Wave Entertainment, and Insomniac Games. Many ancillary companies from Arri cameras, to Cinelease, Entertainment Partners, JL Fisher, and Matthews Studio Equipment also maintain a presence in Burbank. Xytech Systems Corporation, a business software and services provider to the entertainment industry, is headquartered in Burbank. Local IATSE union offices for the Stagehands Local 33, Grips Local 80, Make-up and Hairstylist Local 706, Set Painters Local 729 and Animation Guild Local 839 also make their home in Burbank with Teamsters Local 399, IBEW Local 40 and many other IATSE locals nearby. Burbank has not been immune to the U.S. economic and housing impacts from the recession. From 2007 to 2016, the city had more than 1,200 home foreclosures, with about three-fourths of them happening from 2007 to 2011. City officials prepared for cutbacks going into 2009. Burbank's City Manager, Mike Flad, estimated the city's 2009–10 fiscal budget will suffer a 5% shortfall. In fact, the city's budget woes continued into 2017. At the beginning of the budget development process for fiscal 2016-17, the city's staff was projecting a recurring budget deficit of $1.3 million for the year. That followed several years of across-the-board budget cuts by various city departments, according to budget documents. Even so, the city still managed to add some new positions and increase fire staffing. One of the increased costs Burbank and many other California cities are coping with is unfunded pension liability. The city manager's budget message in 2016-17 identified Burbank's aging infrastructure as one of the top priorities of city officials but also one of its biggest financial challenges. The city's 2017 budget documents indicated Burbank should be spending at least $5 million more annually to address the backlog of maintenance on infrastructure and update Burbank's facilities. Regardless, the city forecasts it will post a deficit for at least the next five years, projecting about $9.4 million in red ink in fiscal year 2017-18 and a deficit of about $27.4 million by 2022-23. As of April 2012, unemployment in the Burbank area stood at 8.4%, or below the state's jobless rate of 10.9%, according to the California Employment Development Department. Back in January 2011, the unemployment rate in Burbank had reached 10.7%, according to EDD. By November 2017, though, the unemployment rate in Burbank was just 3.4%, below the 4.1% rate in Los Angeles County, according to EDD data. One bright spot in the otherwise bleak job market during the recession was Kaiser Permanente's decision to relocate some administrative offices near the Burbank airport. 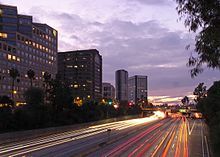 The relocation from Kaiser's Glendale and Pasadena administrative offices to Burbank was completed in 2009. Additionally, KCET television announced plans in 2012 to relocate to Burbank's Media District. KCET is a former PBS station and the nation's largest independent station in southern and central California. Hasbro Studios also is located in Burbank just east of the airport in a commercial complex previously occupied by Yahoo. The revitalized downtown Burbank provides an urban mix of shopping, dining, and entertainment. The San Fernando Strip is an exclusive mall designed to be a modern urban village, with apartments above the mall. An upscale shopping district is located in the state-of-the-art Empire Center neighborhood. The Burbank Town Center is a retail complex adjacent to the downtown core that was built in two phases between 1991 and 1992. In 1979, the Burbank Redevelopment Agency entered into an agreement with San Diego-based Ernest Hahn Company to build a regional mall known as Media City Center. It would later get renamed Burbank Town Center and undergo a $130 million facelift starting in 2004, including a new exterior streetscape façade. The agency, helped out with its powers of eminent domain, spent $52 million to buy up the 41-acre (170,000 m2) land in the area bounded by the Golden State Freeway, Burbank Boulevard, Third Street and Magnolia Boulevard. Original plans were for Media City Center included four anchor tenants, including a J.W. Robinson's. But May Co. Department Stores later bought the parent company of Robinson's and dropped out of the deal. The other stores then dropped out as well and Hahn and the agency dropped the project in March 1987. Within months, Burbank entered into negotiations with the Walt Disney Company for a shopping mall and office complex to be called the "Disney MGM Backlot." Disney had estimated that it could spend $150 million to $300 million on a complex of shops, restaurants, theaters, clubs and hotel, and had offered to move its animation department and Disney Channel cable network operation to the property as well. These plans ended in failure in February 1988 when Disney executives determined that the costs were too high. In January 1989, Burbank began Media City Center project negotiations with two developers, the Alexander Haagen Co. of Manhattan Beach and Price Kornwasser Associates of San Diego. Eight months later, Haagen won the contract and commenced construction, leading to the $250 million mall's opening in August 1991. Under terms of the agreement with Haagen, the city funded a $18 million parking garage and made between $8 and $12 million in improvements to the surrounding area. Plans by Sheraton Corporation to build a 300-room hotel at the mall were shelved because of the weak economy. The new mall helped take the strain off Burbank's troubled economy, which had been hard hit by the departure of several large industrial employers, including Lockheed Corp. The center was partially financed with $50 million in city redevelopment funds. Construction had been in doubt for many years by economic woes and political turmoil since it was first proposed in the late 1970s. In 2003, Irvine-based Crown Realty & Development purchased the 1,200,000-square-foot (110,000 m2) Burbank Town Center from Pan Pacific Retail Properties for $111 million. Crown then hired General Growth Properties Inc., a Chicago-based real estate investment trust, for property management and leasing duties. At the time, the Burbank mall ranked as the No. 6 retail center in Los Angeles County in terms of leasable square footage, with estimated combined tenant volumes in excess of $240 million. In 1994, Lockheed selected Chicago-based Homart Development Company as the developer of a retail center on a former Lockheed P-38 Lightning production facility near the Burbank Airport that was subject to a major toxic clean-up project. A year later, Lockheed merged with Martin Marietta to become Lockheed Martin Corp. Lockheed was ordered to clean up the toxics as part of a federal Superfund site. The northern Burbank area also became identified as the San Fernando Valley's hottest toxic spot in 1989 by the South Coast Air Quality Management District, with Lockheed identified among major contributors. Lockheed always maintained the site was never a health risk to the community. 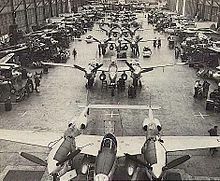 Lockheed P-38 Lightning production line in Burbank. The site is now location of Burbank Empire Center. The Lockheed toxic clean-up site, just east of the Golden State Freeway, later became home to the Empire Center. Four developers competed to be selected to build the $300 million outdoor mall on the site. In 1999, Lockheed picked Los Angeles-based Zelman Cos. from among other contenders to create the retail-office complex on a 103-acre (0.42 km2) site. Zelman purchased the land in 2000 for around $70 million. As part of the sales agreement, Lockheed carried out extensive soil vapor removal on the site. Lockheed had manufactured planes on the site from 1928 to 1991. Together with $42 million for demolition and $12 million for site investigation, Lockheed would eventually spend $115 million on the project. Warner Bros. proposed building a sports arena there for the Kings and the Clippers on the former B-1 bomber plant site. Price Club wanted it for a new store. Disney considered moving some operations there too. The city used the site in its failed attempt to lure DreamWorks to Burbank. Phoenix-based Vestar Development Company planned a major retail development and spent more than a year in negotiations to buy the property from Lockheed before pulling out late in 1998. Less than eight months after breaking ground, the Empire Center's first stores opened in October 2001. Local officials estimated the complex would generate about $3.2 million a year in sales tax revenue for the city, and as many as 3,500 local jobs. Within a year of completion, the Empire Center was helping the city to post healthy growth in sales tax revenues despite a down economy. Alone, the Empire mall generated close to $800,000 in sales tax revenues in the second quarter of 2002. The outdoor mall's buildings hark back to Lockheed's glory days by resembling manufacturing plants. Each of the outdoor signs features a replica of a Lockheed aircraft, while the mall design brings to mind an airport, complete with a miniature control tower. In 2009, work was finished on a $130-million office project adjacent to the Empire Center. The completion of the seven-story tower marked the final phase of the mixed-use Empire development near Bob Hope Airport. In late 2012, IKEA announced plans to relocate to a new site in Burbank. Its original location was situated north of the Burbank Town Center mall. The new location was approved by the city in 2014 and is just north of Alameda Avenue and east of the Golden State Freeway. The new 456,000-square-foot store was completed in February 2017, and when it opened was the largest IKEA in the United States. Meantime, the old IKEA site north of the mall is getting its own makeover and will feature residential and retail space. Also, the Burbank Town Center mall itself is getting a facelift of its own. The two projects together are expected to cost more than $350 million. The redevelopment reportedly includes using some of the land just north of the old IKEA site, including the Office Max location. In 1916, the original Burbank City Hall was constructed after bonds were issued to finance the project and pay for fire apparatus. Burbank's current City Hall was constructed from 1941 to 1942 in a neo-federalist Moderne style popular in the late Depression era. The structure was built at a total cost of $409,000, with funding from the Federal Works Agency and Works Project Administration programs. City Hall was designed by architects William Allen and W. George Lutzi and completed in 1943. Originally, the City Hall building housed all city services, including the police and fire departments, an emergency medical ward, a courthouse and a jail. One of the most distinctive features of the cream-colored concrete building is its 77-foot (23 m) tower, which serves as the main lobby. The lobby interior features more than 20 types of marble, which can be found in the city seal on the floor, the trim, walls and in the treads and risers of the grand stairway. Artist Hugo Ballin created a "Four Freedoms" mural in Burbank's City Council chambers during World War II, although it was covered up for decades until art aficionados convinced the city to have the mural fully revealed. Ballin's work illustrates the "Four Freedoms" outlined in President Franklin Roosevelt's 1941 speech at the signing of the Atlantic Charter. In 1996, the City Hall was added to the U.S. National Register of Historic Places, becoming the second building in Burbank to be listed on the register. The first was Burbank's main post office just blocks away from City Hall on Olive Avenue. In 1998, Burbank's state-of-the-art Police/Fire facility opened. Burbank is a charter city which operates under a council-manager form of government. In 1927, voters approved the Council-Manager form of government. The five-member City Council is elected for four-year overlapping terms, with the Mayor appointed annually from among the Council. The City Clerk and the City Treasurer are also elected officials. Burbank is a full-service, independent city, with offices of the City Manager and City Attorney, and departments of Community Development, Financial Services, Fire, Information Technology, Library Services, Management Services, Police, Parks-Recreation & Community Services, Public Works, and Burbank Water and Power (BWP). The first power was distributed within the city limits of Burbank in 1913, supplied then by Southern California Edison Company. Today, the city-owned BWP serves 45,000 households and 6,000 businesses in Burbank with water and electricity. Additionally, the $382-million annual revenue utility offers fiber optic services. Burbank's city garbage pickup service began in 1920; outhouses were banned in 1922. At the height of California's 2001 energy crisis, BWP unveiled a mini-power plant at its landfill. It marked the world's first commercial landfill power plant using Capstone microturbine technology. Ten microturbines run on naturally occurring landfill gas, producing 300 kilowatts of renewable energy for Burbank. That's enough energy to serve the daily needs of about 250 homes. The landfill is located in the Verdugo Mountains in the northeastern portion of the city. In 2015, Burbank reached its 2007 goal of providing 33% renewable energy to the city, a feat achieved five years ahead of schedule. As of 2017, the city was getting 35% of its power from renewables. Most of Burbank's current power comes from the Magnolia Power Project, a 328-megawatt power plant located on Magnolia Boulevard near the Interstate 5 freeway. The municipal power plant, jointly owned by six Southern California cities (Burbank, Glendale, Anaheim. Pasadena, Colton and Cerritos), began generating electricity in 2005. It replaced a 1941 facility that had served the customers of Burbank for almost 60 years. Like other cities in California, Burbank has mandatory water cutbacks required under the state's drought emergency response plan announced in April 2015. Burbank is required to lower water use by 28 percent of 2013 levels. The state threatened stiff fines for non-compliance. The Burbank City Council lost a court case in 2000 involving the right to begin meetings with a sectarian prayer. A Los Angeles County Superior Court judge ruled that prayers referencing specific religions violated the principle of separation of church and state in the First Amendment. While invocations were still allowed, Burbank officials were required to advise all clerics that sectarian prayer as part of Council meetings was not permitted under the Constitution. Like other California cities, Burbank took a financial hit after Californians passed Proposition 13 in 1977. The city dealt with the ramifications of maintaining service levels expected by the community but with lower tax revenues. As a result, Burbank officials opted to cut some services and implement user fees for specialized services. In late 2012, Burbank City Manager Mike Flad resigned after having held the job since 2009. Flad worked his way up in the city government after serving 23 years as a city employee. He left to take the position of City Manager for the City of South Gate, California. Burbank City Council then named Ken Pulskamp to serve as interim City Manager. In June 2013, Mark Scott was appointed the new city manager. Scott had been city manager of Fresno, California. Scott moved on in early 2016 to another job, executive head in the city of San Bernardino. Burbank's current interim-city manager is Ron Davis, who also serves as general manager of Burbank Water and Power. Davis has been employed by Burbank's community-owned utility since 1999. Burbank Mayor Will Rogers led the city from May 1, 2017 until his death on April 19, 2018. Rogers had served as a council member since 2015. Rogers' term had been scheduled to end May 1, 2019. Emily Gabel-Luddy was elected as the new mayor on April 30, 2018. Prior to that, she had served as the city's vice mayor and acting mayor following the death of Rogers. The Los Angeles County Department of Health Services operates the Glendale Health Center in Glendale, serving Burbank. In the state legislature, Burbank is in the 25th Senate District, represented by Democrat Anthony Portantino, and in the 43rd Assembly District, represented by Democrat Laura Friedman. In the United States House of Representatives, Burbank is split between California's 28th and 30th congressional districts, which are represented by Democrat Adam Schiff and Democrat Brad Sherman, respectively.. In the United States Senate, Burbank is represented by California's Senators Dianne Feinstein and Kamala Harris. Burbank is within the Burbank Unified School District. The district was formed on June 3, 1879, following a petition filed by residents S.W. White and nine other citizens. First named the Providencia School District, Burbank's district started with one school house built for $400 on a site donated by Dr. Burbank, the area's single largest landholder. The first schoolhouse, a single redwood-sided building serving nine families, is on what is now Burbank Boulevard near Mariposa Street. In 1887, a new school house was constructed at San Fernando Blvd. and Magnolia Boulevard, which was in Burbank's center of commerce. In 1908, citizens passed a bond measure to raise money to build a high school. At the time, Burbank-area high school students were attending schools in Glendale. When it opened on September 14, 1908, the original Burbank High School had 42 students and two instructors. Burbank is home to several California Distinguished Schools including the Luther Burbank Middle School. Both its public and private K-12 schools routinely score above state and national average test scores. According to U.S. News Best High Schools rankings, the district contains three schools that received gold, silver or bronze medals in the publication's latest rankings. The largest university in Burbank is Woodbury University. Woodbury has a number of undergraduate and graduate programs, including business, architecture, and several design programs. A number of smaller colleges are also located in Burbank, including several make up and beauty trade schools serving the entertainment industry. The nearest community college to Burbank is Los Angeles Valley College, which is west of the city. During the early 1920s, Burbank was a contender to become the location for the southern branch of the University of California. Planners were considering locating the university in the Ben Mar Hills area near Amherst Drive and San Fernando Boulevard. The seaside community of Rancho Palos Verdes was also considered for the campus. Both sites were eventually bypassed when the Janss Investment Company donated property now known as Westwood to build the University of California, Los Angeles. PUC Schools has its administrative offices in Burbank. The Concordia Schools Concordia Burbank, a K-6 private school, is in the city. 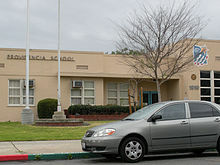 In April 2012, Lycee International de Los Angeles, a bilingual French American college preparatory school, submitted an application with the city of Burbank to operate a private school for grades 6–12 on the site of the former General Motors Training Center on Riverside Drive. The school opened in August 2013. The Hollywood Burbank Airport, until late 2017 known as Bob Hope Airport, serves over 4 million travelers per year with six major carriers and over 70 flights daily. The airport, located in the northwestern corner of the city, is the source of most street traffic in the city. Noise from the airport has been a source of concern for nearly decades. There was even a report in 2018 that a new satellite air-traffic control system may be responsible for some of the noise by putting jets on a path that includes certain neighborhoods. A bill introduced in May 2013 by two California congressmen would put into law an overnight curfew on flights from 10 p.m. to 7 a.m. The U.S. Federal Aviation Administration had rejected the airports' applications for a curfew. However, the airport still suggests a volunteer curfew of 10 p.m. to 7 a.m., where airlines are strongly encouraged not to schedule any arrivals or departures, to respect the surrounding neighborhoods. In December 2008, a slowdown in passenger traffic led the Burbank-Glendale-Pasadena Airport Authority to curtail spending plans, including deferring multimillion-dollar construction projects. The weak economy continued to affect the airport in 2010, with figures showing a 6% decline in passengers for the fiscal year ending June 30. The slowdown is one reason the airport authority scrapped plans to spend $4 million to erect barriers at the west end of the runway. In 2000, a Southwest Airlines Boeing 737 flight with 142 persons aboard overshot the runway and went through the east fence, coming to a stop on Hollywood Way near a Chevron gas station. At the time of cityhood, Burbank had a volunteer fire department. Fire protection depended upon the bucket brigade and finding a hydrant. It wasn't until 1913 that the city created its own fire department. By 1916, the city was installing an additional 40 new fire hydrants but still relying on volunteers for fire fighting. In 1927, the city switched from a volunteer fire department to a professional one. The Department consists of six strategically located fire stations, consisting of: 6 fire engines (type 1); 2 aerial ladder trucks (tractor-drawn) and 3 paramedic ambulances. In the late 1970s, Burbank became part of the Verdugo Fire Communications Center under a joint agreement with Glendale and Pasadena. All three cities were experiencing issues with fire dispatching at the time. Like a lot of cities, dispatching was done by law enforcement due to cost-effectiveness. A "tri-city" joint dispatching center was created to solve the issue and fill the void. 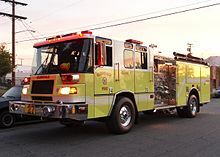 Under the contract, Burbank provided a Hazardous Materials team, Glendale provided an Air-Light unit as well as the dispatch center, and Pasadena provided an Urban Search and Rescue (USAR) Type Heavy team. Today, both Glendale and Pasadena offer USAR Type 1 Heavy teams. 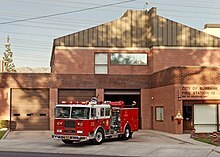 The three city fire departments are all dispatched from the Verdugo Fire Communications Center, located in Glendale. Each of the three cities shares the cost of operating and maintaining this dispatch facility. Today, Verdugo is a regional dispatch center, providing communications for all 13 fire departments in California's OES "Area C" mutual aid area and the 14th agency which is the Burbank Airport Fire Department. In 1907, Burbank's first major hospital opened under the name "Burbank Community Hospital". The 16-bed facility served the community during a deadly smallpox epidemic in 1913 and helped it brace for possible air raids at the start of World War II. The two-story hospital was located at Olive Avenue and Fifth Street. By 1925, the hospital was expanded to 50 beds and in the mid-1980s operated with 103 beds and a staff of over 175 physicians. For years, it also was the only hospital in Burbank where women could receive abortions, tubal ligations and other procedures not offered at what is now Providence St. Joseph Medical Center. A physicians group acquired the hospital for $2 million in 1990 and renamed it Thompson Memorial Medical Center, in honor of the hospital's founder, Dr. Elmer H. Thompson. He was a general practitioner who made house calls by bicycle and horseback. In 2001, Burbank Community Hospital was razed to make way for a Belmont Village Senior Living community. Proceeds from that sale went to the Burbank Health Care Foundation, which assists community organizations that cater to health-related needs. In 1943, the Sisters of Providence Health System, a Catholic non-profit group, founded Providence St. Joseph Medical Center. Construction of the hospital proved difficult due to World War II restrictions on construction materials, and in particular the lack of structural steel. But the challenges were met and the one-story hospital was erected to deal with wartime restrictions. During the baby boom of the 1950s, the hospital expanded from the original 100 beds to 212. By 2012, the hospital featured 431 licensed beds and ranked as the second-largest hospital serving the San Fernando and Santa Clarita Valleys. The hospital employs about 2,500 employees and 600-plus physicians. In the mid-1990s, Seattle-based Sisters of Providence Health System, which owns St. Joseph in Burbank, renamed the hospital Providence St. Joseph Medical Center. The medical center has several centers on campus with specialized disciplines. Cancer, cardiology, mammogram, hospice and children's services are some of the specialty centers. The newest addition to the medical center's offerings is the Roy and Patricia Disney Family Cancer Center, which opened in February 2010. The cancer center features four stories of the latest in high-tech equipment to treat cancer patients and provide wellness services. The center, estimated to cost in excess of $36 million, was built with money from the family of Roy E. Disney, the nephew of Walt Disney. Roy E. Disney died in December 2009 of stomach cancer. Greg Plitt (1977–2015), fitness model, actor. Kendall Schmidt (b. 1990), actor, singer, formed band Heffron Drive – part of Big Time Rush (band). ^ a b c d "City Council". Burbank, CA. Retrieved May 3, 2015. ^ a b "City Officials". Burbank, CA. Retrieved May 3, 2015. ^ "Burbank". Geographic Names Information System. United States Geological Survey. Retrieved November 6, 2014. ^ "Burbank (city) QuickFacts". United States Census Bureau. Archived from the original on August 16, 2012. Retrieved April 9, 2015. ^ "ZIP Code(tm) Lookup". United States Postal Service. Retrieved November 29, 2014. ^ "Geographic Identifiers: 2010 Demographic Profile Data (G001): Burbank city, California". U.S. Census Bureau, American Factfinder. Retrieved February 7, 2013. ^ "Burbank, Ca. – Media Capital of the World". Travel America. April 20, 2007. ^ a b "The American Period". A history of Burbank. Burbank Unified School District. 1967. ^ "David Burbank (1821 - 1895) - Find A Grave Memorial". 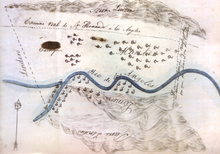 ^ "Battle of La Providencia: Second Battle of Cahuenga Pass". The California State Military Museum. ^ Rasmussen, Cecilia (June 3, 2007). "What's in a name? Clues to a city's past". Los Angeles Times. ^ a b c d e f g Clark, Wes (1967). "Burbankia". American Period. ^ "Dr. David Burbank, 1850". Oviatt Library Digital Collections. Archived from the original on February 25, 2012. Retrieved February 16, 2019. ^ Roderick, Kevin (November 24, 2005). "Timeline of Valley history". The Valley Observed. Archived from the original on November 21, 2011. ^ "Chapter 2 – The American Period". Retrieved January 15, 2018. ^ "Microsoft Word - City of Burbank Final Report.doc" (PDF). Retrieved October 4, 2018. ^ a b "History of Burbank, California". City of Burbank. ^ County, Los Angeles (2009). "The County of Los Angeles Annual Report, 2009–2010" (PDF). ^ Bills, Emily (2004). "The Telephone Shapes Los Angeles, 1880–1950". PART (11). ^ Ira Brown Cross (1927). Financing an Empire: History of Banking in California. S. J. Clarke Publishing Company. p. 160. ^ Leader, Burbank (2003). "A person living in Burbank at the beginning of the 20th Century". Burbank Leader. ^ "Aerial Trolley Car Co., Inc. L.W. and E.C. Fawkes, Palentees. Burbank, California C.C. Pierce". Calisphere. ^ a b c d e "The City of Burbank". A history of Burbank. Burbank Unified School District. 1967. ^ Coscia, David (2011). Pacific Electric and the Growth of the San Fernando Valley. Bellflower, CA: Shade Tree Books. ISBN 978-1-57864-735-4. ^ "Pacific Electric Glendale-Burbank Line". The Electric Railway Historical Association of Southern California. ^ "The History of Burbank Water and Power". Burbank Water and Power. Archived from the original on July 23, 2011. ^ Cadelago, Christopher (May 18, 2009). "Service fees may rise soon". Burbank Leader. ^ "CONTENTdm Collection: Item Viewer". Digital-library.csun.edu. Archived from the original on September 29, 2011. Retrieved December 19, 2011. ^ Loewen, James W. (2005). Sundown Towns: A Hidden Dimension of American Racism. New York City: The New Press. ISBN 978-1-62097-454-4 – via Google Books. ^ "General Population By City: Los Angeles County, 1910–1950". Los Angeles Almanac. ^ "Burbank Furniture Manufacturing Company, 1887". Oviatt Library Digital Collections. Archived from the original on February 25, 2012. Retrieved February 16, 2019. ^ "Fiscally Responsible City Governance" (PDF). City of Burbank Strategic Plan 2001–2010. ^ Parker, Dana T. Building Victory: Aircraft Manufacturing in the Los Angeles Area in World War II, pp. 59, 93, 103–6, Cypress, CA, 2013. ISBN 978-0-9897906-0-4. ^ Parker, Dana T. Building Victory: Aircraft Manufacturing in the Los Angeles Area in World War II, p. 59, Cypress, CA, 2013. ISBN 978-0-9897906-0-4. ^ Herman, Arthur. Freedom's Forge: How American Business Produced Victory in World War II, pp. 86, 203, Random House, New York, NY, 2012. ISBN 978-1-4000-6964-4. ^ Parker, Dana T. Building Victory: Aircraft Manufacturing in the Los Angeles Area in World War II, p. 74, Cypress, CA, 2013. ISBN 978-0-9897906-0-4. ^ "World War II-Lockheed Burbank Aircraft Plant Camouflage". Amazing Posts. August 16, 2008. ^ "California Becomes a Giant Movie Set". Flat Rock. July 16, 2009. ^ a b McGinnis, Chris (January 5, 2018). "So long, Bob Hope. Hello Hollywood Burbank Airport!". Retrieved January 7, 2018. ^ Herman, Arthur. Freedom's Forge: How American Business Produced Victory in World War II, pp. 85, 203, 287, Random House, New York, NY, 2012. ISBN 978-1-4000-6964-4. ^ Parker, Dana T. Building Victory: Aircraft Manufacturing in the Los Angeles Area in World War II, pp. 59–76, Cypress, CA, 2013. ISBN 978-0-9897906-0-4. ^ Hennigan, W. J. (June 20, 2013). "Rockets ♪ Mecanic bionic". The Los Angeles Times. Retrieved December 31, 2015. ^ "Demographics". The Burbank Chamber of Commerce. Archived from the original on January 10, 2009. Retrieved January 4, 2009. ^ a b "Profile of the City of Burbank" (PDF). p. 16. ^ Cadelago, Christopher (August 7, 2009). "Airport's fares are 3rd-lowest". Burbank Leader. ^ Martín, Hugo (January 9, 2012). "American Airlines to stop flying to Burbank". Los Angeles Times. ^ Martín, Hugo (September 10, 2012). 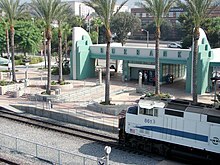 "Burbank among cities nationwide with lightest tax burden on travelers". Burbank Leader. ^ Chen, Anna (June 27, 2014). "Bob Hope Airport officially opens Regional Intermodal Transportation Center". thesource.metro.net. ^ McNary, Sharon (June 27, 2014). "Burbank's Bob Hope Airport opens new people mover to connect to rental car center in July". scpr.org. ^ Gill, Victor (May 14, 2012). "Press Release: Airport Authority Awards Construction Contracts For Regional Intermodal Transportation Center". Burbank-Glendale-Pasadena Airport Authority. Archived from the original on April 20, 2013. ^ Garland, Chad (September 8, 2015). "Monthly passenger count rises at Bob Hope Airport". Burbank Leader. ^ Clark Carpio, Anthony (February 8, 2018). "Hollywood Burbank Airport finishes 2017 strong". Burbank Leader. ^ Garland, Chad (November 11, 2014). "Where's Bob Hope Airport? Rebranding seen as possible way to boost use". Los Angeles Times. ^ Forgione, Mary (February 13, 2017). "Bob Hope, thanks for the memories. A name change to Hollywood Burbank Airport moves forward". Los Angeles Times. ^ "Hollywood Burbank Airport unveils new name and logo on airport terminal tower" (PDF) (Press release). Hollywood Burbank Airport. Retrieved January 7, 2018. ^ Siegal, Daniel (September 20, 2013). "Bob Hope Airport officials present plans for new terminal". Burbank Leader. ^ Garland, Chad (September 8, 2015). "Voters approved a replacement terminal at Hollywood Burbank Airport. Here's what's next". Los Angeles Times. ^ a b City of Burbank Community Development Department (January 8, 1991). "The Burbank Media District Specific Plan". Retrieved April 16, 2014. ^ "Burbank Media Center". Burbank.com. Archived from the original on March 10, 2014. Retrieved March 10, 2014. ^ Bartholomew, Dana (October 7, 2009). "Universal Studios to get $3 billion NBC makeover". Los Angeles Daily News. Retrieved October 9, 2009. ^ Strauss, Bob (January 21, 2010). "Conan and NBC separation finalized". Los Angeles Daily News. Retrieved January 31, 2010. ^ Shain, Michael (April 4, 2013). "Comic reliever as Jay exits". nypost.com. ^ Jacquelyn Ryan (January 4, 2012). "NBC's Big MetroStudios Project Killed, Smaller Facility Planned". Los Angeles Business Journal. Retrieved August 11, 2012. ^ Conan O'Brien to shoot TBS talk show on Warner Bros. TV lot EW.com. Retrieved May 16, 2010. ^ a b "Top Movies Filmed in Burbank, California". TopTenReviews.com. Archived from the original on January 13, 2009. ^ Janssen, Mike (May 1, 2007). "The Mall Coming To A Theater Near You". Retail Traffic. Archived from the original on December 2, 2008. ^ Lisa (August 8, 2011). "Finding the Famous: U Mart – Larry Crowne – Burbank, CA". Findingthefamous.blogspot.com. Retrieved August 11, 2012. ^ Kellam, Mark (May 5, 2012). "Filmmaking and acting school opens in Burbank, California". Burbank Leader. Retrieved August 11, 2012. ^ Clark Carpio, Anthony (December 23, 2017). "Burbank official presents City Council with pros and cons of rent control". Burbank Leader. Retrieved January 7, 2018. ^ Lawrence, Carol (March 28, 2007). "Burbank Toughens Smoking Ordinance". San Fernando Valley Business Journal. Retrieved January 15, 2018. ^ Meier, Gretchen (October 2, 2010). "Smoking law gets tougher again". Burbank Leader. Retrieved December 19, 2011. ^ Lee, Wendy (July 15, 2005). "Burbank Official Arrested in Gang Probe". Los Angeles Times. Los Angeles, Calif. p. B.1. ^ Keller, Michelle (January 10, 2006). "Council Revisits Drug Testing". Los Angeles Times. ^ Garland, Chad (August 26, 2015). "JCrews make way for Walmart at the Empire Center in Burbank". Burbank Leader. Retrieved September 9, 2015. ^ Emma G. Gallegos (August 23, 2012). "Judge's Order Halts Construction On Burbank Walmart". LAist. Archived from the original on July 12, 2014. Retrieved November 7, 2012. ^ "Traffic barriers divide Burbank neighbors". Burbank Leader. September 4, 2015. Retrieved September 8, 2015. ^ Burbank Leader (September 4, 2015). "Traffic barriers divide Burbank neighbors". latimes.com. ^ "Geology and Soils" (PDF). Land Use and Mobility Elements Update: City of Burbank Draft Program EIR. April 2006. Retrieved August 19, 2009. ^ "Selected U.S. City and State Extremes – June 2007". National Climatic Data Center. August 20, 2008. Retrieved August 19, 2009. ^ "Average weather for Burbank". Weather.com. Retrieved March 29, 2008. ^ "NOWData - NOAA Online Weather Data". National Oceanic and Atmospheric Administration. Retrieved April 11, 2018. ^ "CA Burbank Glendale Pasadena AP". National Oceanic and Atmospheric Administration. Retrieved April 11, 2018. ^ "My grandfather, Earl Loy White". theburbanktribune.wordpress.com. February 3, 2012. Retrieved September 18, 2013. ^ "The History of Magnolia Park". Magnolia Park Merchants Association Inc. Retrieved January 15, 2018. ^ Dobuzinskis, Alex (November 25, 2004). "Porto's gets city loan for expansion". Los Angeles Daily News. Archived from the original on January 15, 2018. Retrieved January 15, 2018. ^ Lecaro, Lina (March 26, 2015). "The Retro Charm Of Burbank's Magnolia Boulevard: A Shopping Guide". Laist.com. Archived from the original on December 26, 2017. Retrieved January 18, 2018. ^ "EV1 Vigil At GM Burbank Facility Enters Day Three". Motor Trend. February 18, 2005. ^ Moore, Bill (February 27, 2005). "EV1 Vigilers Pledge to Pay GM $1.9 Million for 'Incarcerated' Electric Cars". EV World. ^ "Rancho residents say 'oui' to French prep school". tribunedigital-burbankleader. ^ "Profile of the City of Burbank" (PDF). ^ "Southern California Association of Government's 2016 Demographic and Growth Forecast" (PDF). Retrieved January 15, 2018. ^ "2010 Census Interactive Population Search: CA – Burbank city". U.S. Census Bureau. Archived from the original on July 15, 2014. Retrieved July 12, 2014. ^ a b "State & County QuickFacts: Burbank (city), California". Archived from the original on August 16, 2012. ^ "United States Census 2000: Burbank Demographic Profile" (PDF). United States Census Bureau. Archived from the original (PDF) on August 20, 2009. Retrieved August 20, 2009. ^ "Crime Information". Burbank Police Department. Retrieved January 15, 2018. ^ "3 bodies found in a parked vehicle; Burbank police investigate possible homicide". Los Angeles Times. Retrieved April 18, 2018. ^ "2018 Safest Cities in America". Niche.com. Retrieved April 28, 2018. ^ "Burbank Page". Niche.com. Retrieved April 18, 2018. ^ "Table 8 (California) – Crime in the United States 2009". .fbi.gov. Retrieved December 19, 2011. ^ "Burbank, California". America's Promise. ^ Vincent, Roger (September 21, 2017). "Wall Street equity fund buys control of $1.7-billion Burbank Media District portfolio". Los Angeles Times. ^ "Profile of the City of Burbank" (PDF). p. 21. ^ "City Manager's Budget Message". Burbank, CA. Retrieved January 7, 2017. ^ "Adopted Annual Budget 2016-2017". Burbank, CA. Retrieved January 7, 2017. ^ staff, Burbank Leader (January 2, 2018). "Looking ahead at stories affecting the Media City: Systemic city budget shortfall still looming". Burbank Leader. ^ "Glendale, Pasadena see big drops in unemployment". Burbank Leader. May 18, 2012. Retrieved August 11, 2012. ^ Kisliuk, Bill (March 4, 2011). "Local jobless figures rise". Burbank Leader. Retrieved December 19, 2011. ^ "Cities and Census Designated Places by Individual County". Retrieved January 15, 2018. ^ "Kaiser Permanente Moving Employees to Burbank Early 2009 – Video Dailymotion". Dailymotion.com. Retrieved December 19, 2011. ^ Stettler, Meghan (April 13, 2012). "KCET Announces Move to the Pointe in Burbank". KCET press release. ^ Pierce, Todd James (May 28, 2008). "Looking back on the Disney-MGM Studio Backlot project – Part I". Jim Hill Media. ^ Liu, Caitlin (March 8, 2003). "EPA Slashes Fine for Burbank Lockheed Plant". Los Angeles Times. ^ Barrett, Beth; Condon, Lee; Jacobs, Chip (August 4, 1996). "Lockheed Resolves Toxic Claims". Daily News. ^ Young, D.B. (January 18, 2000). "Huge 'Power Center Mall' Awaits Burbank's Blessing". Los Angeles Times. ^ McGreevy, Patrick; Gettleman, Jeffrey (July 15, 1999). "L.A. Officials Wooing a DreamWorks Studio". Los Angeles Times. ^ Boghossian, Naush (October 1, 2001). "New mall: think big Burbank giant to boost tax base". Daily News. ^ Brinsley, John (March 25, 2002). "Nostalgic Burbank Empire Center has air of success". Los Angeles Business Journal. ^ Tchekmedyian, Alene (March 12, 2014). "urban approves construction of largest Ikea store in U.S." Burbank Leader. ^ Grigoryants, Olga (January 5, 2018). "Former IKEA site in Burbank will get new look, new retail-residential strategy". Pasadena Star News. ^ "City of Burbank Expands Landfill Gas Installation". Burbank Water & Power. Archived from the original on December 22, 2008. Retrieved January 7, 2009. ^ "6 Southern California Cities to Celebrate Dedication of Magnolia Power Project in Burbank on June 2" (PDF) (Press release). Magnolia power project. May 16, 2005. Archived from the original (PDF) on July 28, 2011. ^ "City Council can't begin meetings with sectarian prayer". Freedom Forum. Associated Press. September 10, 2002. Archived from the original on November 29, 2008. ^ "City Manager Leaving Mike Flad Accepts South Gate Position" (PDF) (Press release). burbankca.gov. September 17, 2012. ^ Alene Tchekmedyian (October 22, 2012). "Burbank names Ken Pulskamp interim city manager". Burbank Leader. ^ Alene Tchekmedyian (June 18, 2013). "Burbank taps top executive of Fresno to be new city manager". Burbank Leader. ^ Chad Garland (February 19, 2016). "Interim Burbank city manager looks forward to solving 'puzzle'". Los Angeles Times. ^ Anthony Clark Carpio (April 19, 2018). "Burbank Mayor Will Rogers, 60, dies after battle with liver cancer". Los Angeles Times. ^ Anthony Clark Carpio (April 30, 2018). "Councilwoman Emily Gabel-Luddy appointed as mayor, Sharon Springer as vice mayor". Los Angeles Times. ^ "Glendale Health Center." Los Angeles County Department of Health Services. Retrieved on March 27, 2010. ^ "Statewide Database". UC Regents. Retrieved November 19, 2014. ^ "Communities of Interest – City". California Citizens Redistricting Commission. Archived from the original on September 30, 2013. Retrieved September 24, 2014. ^ "California's 30th Congressional District - Representatives & District Map". Civic Impulse, LLC. ^ "." US News.com. Retrieved on November 29, 2014. ^ "Contact PUC Schools." PUC Schools. Retrieved on November 27, 2011. " PUC Schools (Home Office) 1405 North San Fernando Blvd. Suite 303 Burbank, CA 91504"
^ "Home." Concordia Burbank. Retrieved on September 1, 2011. "1001 S. Glenoaks Blvd., Burbank, CA 91502"
^ "Burbank, CA : 1105 Riverside Dr. (Proposed School)". Burbankca.gov. Archived from the original on May 30, 2012. Retrieved November 7, 2012. ^ Clark Carpio, Anthony (January 12, 2018). "Burbank seeks to write joint letter with airport authority regarding NextGen". Los Angeles Times. ^ "Congressmen try again for nighttime curfews at Van Nuys, Burbank airports". ^ Kisliuk, Bill (October 20, 2010). "Bright news for Bob Hope Airport". Burbank Leader. Retrieved December 19, 2011. ^ "Southwest Airlines flight 1455, Burbank, California, March 5, 2000" (PDF). Retrieved December 19, 2011. ^ Kellam, Mark (May 29, 2012). "Interstate 5 project through Burbank gets major piece of funding". Glendale News Press. Retrieved August 11, 2012. ^ "Magnolia Boulevard to Buena Vista Street". California Department of Transportation, District 7. 2012. ^ Hymon, Steve (September 15, 2008). "Metrolink's grim national record". Los Angeles Times. ^ "Burbank – A community profile and historical timeline" (PDF). Adopted budget FY 2008–09. City of Burbank. June 17, 2008. ^ "U.S. Hydrogen Fueling Stations" (PDF). Fuel Cells 2000. Archived from the original (PDF) on April 15, 2015. Retrieved April 15, 2015. ^ "Burbank, CA : California High Speed Rail Project". Burbankca.gov. Archived from the original on May 30, 2012. Retrieved November 7, 2012. ^ Rocha, Veronica (October 29, 2009). "Behind the 911 dispatchers – Verdugo center serves multiple cities. Workers are highly trained for all situations". Glendale News-Press. Archived from the original on January 28, 2015. ^ Abram, Susan (January 27, 2010). "Disney Family Cancer Center set to open February 8". Los Angeles Daily News. Archived from the original on January 31, 2010. Retrieved January 31, 2010. ^ "Glenn Davis Statistics". Pro-Football-Reference.com. ^ "Mark Harmon: Biography". TV Guide. Retrieved April 14, 2008. ^ Dilbeck, Steve (December 5, 2014). 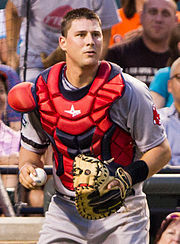 "Dodgers claim Boston catcher Ryan Lavarnway, designate Drew Butera". Los Angeles Times. ^ Teper, Lonnie (July 16, 2009). "Greg Plitt". Ironman Magazine. ^ "Shore, Ryan". Alumni Directory. Berklee College of Music. Archived from the original on March 30, 2012. Retrieved April 5, 2010. ^ "Anton Yelchin Biography". Tribute. Retrieved May 25, 2009. ^ a b c d e "Burbank's Sister Cities". Burbank Sister City Organization. Archived from the original on June 26, 2012. Retrieved July 22, 2010. ^ "Artsakh's Hadrut and Burbank Become 'Friendship Cities'". Asbarez. November 14, 2014. ^ "Networks, town twinning and partnerships" (PDF). City of Solna. Retrieved August 4, 2013. 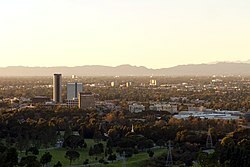 Wikimedia Commons has media related to Burbank, California. Wikivoyage has a travel guide for Burbank.